While stating they have received numerous requests, Dolphin Discovery has said it plans to return to the British Virgin Islands. Dolphin Discovery’s Sub-Director of Caribbean Operations, Alejandro Raygoza, told BVI News the aquatic company is looking to resume operations before the end of 2018. He said the company must first get permission from local authorities to return. Raygoza described the company as being beneficial to the territory’s tourism product and said external stakeholders have already solicited the Dolphin Discovery’s return to the BVI. “We have been in close communication with the major cruise lines who requested us to start operations in the BVI as soon as possible as they are also returning soon,” he said. The company’s dolphinarium which was previously located at Prospect Reef on the island of Tortola was severely damaged because of the hurricanes. Raygoza, however, said plans to select a new location for the company to operate are now ‘in the advanced stages’. Marine mammals specialists and a veterinarian were successfully able to relocate the dolphins to a refuge roughly 48 hours before Hurricane Irma made landfall in the BVI. The refuge was said to be protected from the floods as well as contamination and the animals were monitored at all times. The company further said the animals were transferred to habitats in Jamaica and the Dominican Republic after the hurricanes. They are still located in those countries. Thast a very good news. The dolphin prison should not be allowed to return. BVI is nature’s little secrets and keeping large, intelligent mammals in relatively small tanks is out of date and contrary to our offering. Much better that the BVI Government encouraged a small wildlife park highlighting our native species of animals which can be appropriately housed: tortoises, turtles, lizards, bats etc. It would be great to see a “poison” section with tarantula wasps, brown recluse, snakes etc. We can do better than reverting to the old ways here – let’s be a trailblazer of environmentally sustainable attractions. There are plenty of options to consider – we could develop a turtle “farm” like in Cayman where we grow turtles for meat in a sustainable way and also work to bring back those endangered and at risk species to our shores. We could also do the same with our missing dogs and sea-cows (seals and manatees). The mortality rate of dolphins in captivity is extraordinarily high. People love pictures of smiling children playing will dolphins. But for some reason they don’t post pictures of the regular disposal of dead dolphin carcasses. What missing dogs are you on about? Stray dogs? Tourists are going to pay to see them? What missing dogs are you on about? Stray dogs? Tourists are going to pay to see them? If the dogs are missing, how are people supposed to see them? Sounds like a scam to me. The missing “dogs” are the seals which used to inhabit these islands. That’s why we have little islands called Great Dog, West Dog & George Dog). The seals were eaten by sailors back in the day. Yes tourists would pay to go on boat trips to see them if they were introduced. Tourists pay to see seals all round the world. No one pays to see seals. They’re a nuisance on both US coast lines. Fishermen shoot them, because they steal their fish. Jane, others, conservation department and government, replenishing of depleted species would be beneficial in all respective areas. For example, the “land turtle,” perhaps, could be considered for reintroduction. Additionally, the parrot, which once thrived throughout the Caribbean could be reintroduced, though food might now pose a challenge. Lastly, along with some bird species being deplete by Ir-Maria, the pelican population has been decimated.Indeed, since the storms, only has been sighted. I fully agreed with your comment. Thank you for caring and seeing a big positive picture! The dolphin attraction is an issue for all cruise lines not just disney and disney will be back 28 August. Disney wants quality activities for their guests. They may want dolphins, but they will probably want something which is different from their other destinations too. We just need a little creativity. Our USP is “nature’s little secrets”. If we play to that strength then the tourists will not be disappointed. Do you really think the cruise companies care about the BVI and its people??? If they can’t make money off of these islands, they don’t care about us. Likewise, they truly don’t care about the dolphins, they just want to be able to sell excursions. We got our chance to be free of this blight, thanks to Irma. Please, please DON’T bring back Dolphin Discovery!!! You are correct and if they don’t have the “swim with dolphins” excursion they will sell a different one, like The Bath. All they care about is selling excursions at a large profit. NO, No, No No more dolphins in the BVI. Cruel to the dolphins. Screw Disney if they demand the dolphins. “Our product is highly requested by their guests while visiting the island.” So is ganja, and it’s sill illegal!! Dolphins don’t have a voice in this. Keep them free and safe!! I here reading these fish eaters comments…. Dolphins are mammals, not fish. No, no, no! There’s hundreds of these inhumane Sea World/Dolphin Discovery marine parks all over Florida and other Caribbean tourist destinations. Don’t repeat this mistake here in the BVI again. The Disney ship passengers that need to interact with imprisoned marine mammals can easily visit Sea World in Orlando before their cruise departs from Port Canaveral to the BVI. its not dolphin fish stupid! Hahahaha! Who wants to swim with mahi-mahi?! Thomas Cook one of the biggest UK travel agencies has just stopped selling trips to Sea World as 95% of their customer base do not want to visit an attraction that houses Orca Whales. This is a great start for animal welfare and I am sure it will quickly extend down to the smaller marine mammals like dolphins. Does the BVI want to be one of the last to adopt the new way of thinking to protect our sea life and stop animal cruelty or are we going to stick to the same old policy of take the fast buck of the cruise ship. Don’t blame the cruise ship tourist, they are ignorant to how captivity affects these mammals, instead blame the politicians and the business owners for their greed. this just makes us look backward. Just because there is some (diminishing) demand for it doesn’t mean it is right. There’s a demand for all sorts of things we don’t want here. The dolphin p—– sits squarely against our calling ourselves nature’s little secrets and trying to sell a high end, natural and environmentally sound product to tourists and to aspire to have our home operate also in this way. We cannot allow this to come back, it is a b—- mark against us. Leave it for those who have no m—- and join the voice against them as well. There is plenty to see here in nature without this rubbish. Social media is alive with sightings of dolphins, whales, all sorts of sea life here in its natural place. This is what we need to look after and invest in. If Disney are insisting this d——-ing business be revived then let’s make the world know what Disney are f—— countries to do. Surely there are enough intelligent people in the BVI to get online and make this viral. Shame on you Micky Mouse! We are the top of the food chain for a reason. If a few Dolphins in captivity will Dave a few thousand jobs, dolphins lose. BVI economy is based on tourism. Do what the tourists want, or get out of the way. Given the anthropological make up of the cruise tourist, I am sure you could make money using black people as circus animals and causing them harm. The potential to make money of something doesn’t mean it’s the right thing to do. The local partners don’t give a hoot about animal welfare!! Maybe PETA will come and do a public advisory campaign to educate the politricksters about the psychological pain these intelligent creatures endure for a few tourists dollars. Where is conservation and fisheries when you need them to voice their concerns? Wa-shasha (B.Lettsome) gone quiet these days…hmmm…anywho March if you don’t want dolphins here in captivity….I thought so! Hypocrites. While I love the idea of restoring businesses and employment to our beautiful slice of heaven, I cannot fully support the dolphins return. There has to be a better way to engage the tourists and connect them with “the island way of life”. Let’s face it, people love the clear water and are excited with the unknown. There has to be a good idea out there to wow the tourists and create demand for the ships. We may not love them but we need them. At least until we can transition to other primary services or products. Maybe we should have a bull ring too. Yeah…..let’s sell tickets to watch dog fighting! It’s a shame some people only have the strength to fight for animal rights but when it comes to their fellow man they are silent. The main excuse is the animals dont have a voice, they cant stand up for their rights but dead people dont have a voice as well so the excuse is lame. The outrage for Cecil the lion was loud from some folks but where is the same energy when innocent people are killed. They read other articles about murders and leave without a comment but if you tie a dog they will wish death on you. They scream free the dolphins but vote for Trump. Really – and what are people are supposed to say “Don’t kill each other”, comparing the two is like comparing apples and oranges and how nice to see that we are back to the black and white issue, very intelligent. What other tourism dependent countries are doing. mankind, humankind, or kindahuman, the people and our government,the imprisonment and or confinement of any creature, especially one that was engineered to live in the vast expanse of the ocean, is cruelty to that creature.We must set a standard for the types of business we allow in our home. To imprison the dolphin for the greedy purpose of accruing money is abhorrent. To falsely use our tourism product as a sham to to exploit an animal is callous and degenerative thinking. Hence, we join those who are in opposition to such to petition our government to permanently disallow any such so called business from entering our land, period!! We are better than that tasteless exploitative enterprise. If they are brought here, we intend to organize our people to protest and picket that site until they are released, those intelligent animals, to their rightful place, the ocean. Mankind kills and eat one trillion, sheep, goat, chicken, fish, cows and other animals daily. Isn’t that enough? Perhaps the facility should be transformed into a swimming and scuba diving school, at a reasonable fee, as at least 90% of our children and adults cannot swim, despite living on a rock. 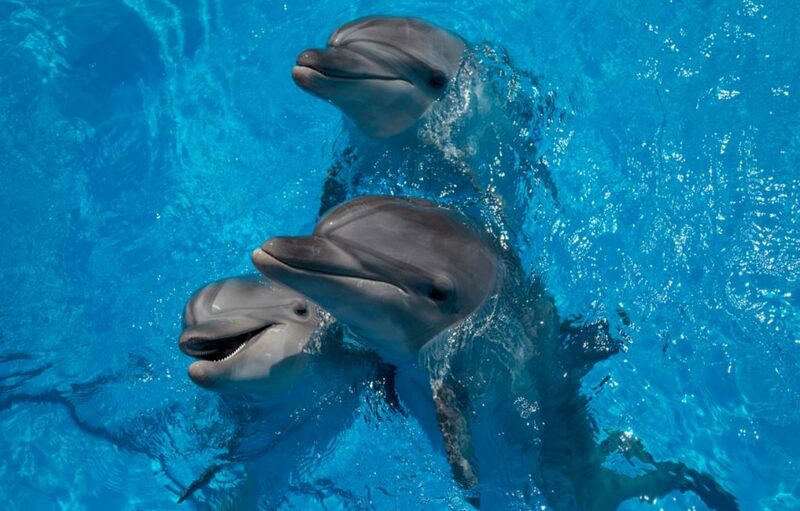 In this case the customer isn’t always right — and fortunately more and more people are publicly condemning dolphin captivity/cetacean captivity because they now realize what has been said for decades: that keeping dolphins and whales captivity is cruel, outdated, and ethically indefensible. So if we are trying to reenact this, then what does it say about the BVI populace?? So, BVIslanders can jump on the reparations for slavery band-wagon without seeing any incongruity in being pro-captive dolphins for a measly and vile slice of the low-end tourism dollar pie? Hypocrites. Good news.This will boost tourist attraction. If it makes money for Disney and carnival and the local operator to a lesser extent, the money made for the BVI is less than the money it gases away in the far more lucrative and desirable overnight tourism. They are more likely to be disgusted at this. Plus the many people we will never know about who will not visit ever while we have this rubbish here. Free the dolphins so that they can live uncaged and carefree in the wild, natural environment. Who is asking for the captive dolphins to return to the BVI? Is it the operator or visitor? Visitors typically visit countries to experience something(s) different than they experience in their home countries, ie, heritage, culture, art, music, song, food, flora, fauna, archeological, environmental resources, historical sites……etc. The BVI needs better and more attractive attactions to draw more visitors. Visitors must be wowed when they visit the territory so that they can go back and share their positive experiences with family members, co-workers……etc. This type of advertisement is what drives a destination towards being a top destination. Is there a way to fight this? Petition or protest? Ther’re better ways for our tourists to “experience” BVI. These attractions are on the decline as people begin to understand how these dolphins are captured and treated. Lead the way BVI, stop this from happening and create something NEW. Good luck trying to fight that the business owners are too well connected.